We're glad you found us! At CHPT, we pride ourselves in providing the safest, most effective evidenced-based care for your condition. Our goal is to get you out of pain and back to life as quickly as possible. To this end we use the latest medical technology combined with the years of experience that come from a board certified medical doctor, three generations of chiropractic physicians and a fully staffed physical therapy department. 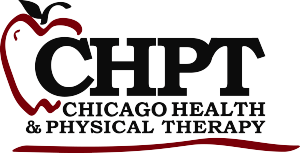 As the oldest Chiropractic practice in the city of Chicago, with roots dating back to 1922, Chicago Health and Physical Therapy has evolved with the times. By integrating multiple health care disciplines, the mission of providing skilled committed care has been achieved by our medical team approach. All of CHPT’s practitioners continually study the latest research and apply the latest technologies and treatments. Our skilled health care providers have become experts in their fields while remaining approachable to their patients. For over 90 years, we have sought to protect our patients from unnecessary tests, dangerous drugs and surgeries. However, we recognize that sometimes these services are needed and in such cases utilize our network of outside providers who share our philosophy.